Le Voyageur motorhome owners are real dreamers, who long for perfection, and wish to make their dreams a reality. The LV range has been designed for them, composed of high-end yet accessible models. Featuring refined interiors, high quality finishing, and aerodynamic design for impeccable driving comfort and road handling, nothing has been left out. Because the exception must serve to prove the rule for as many people as possible. 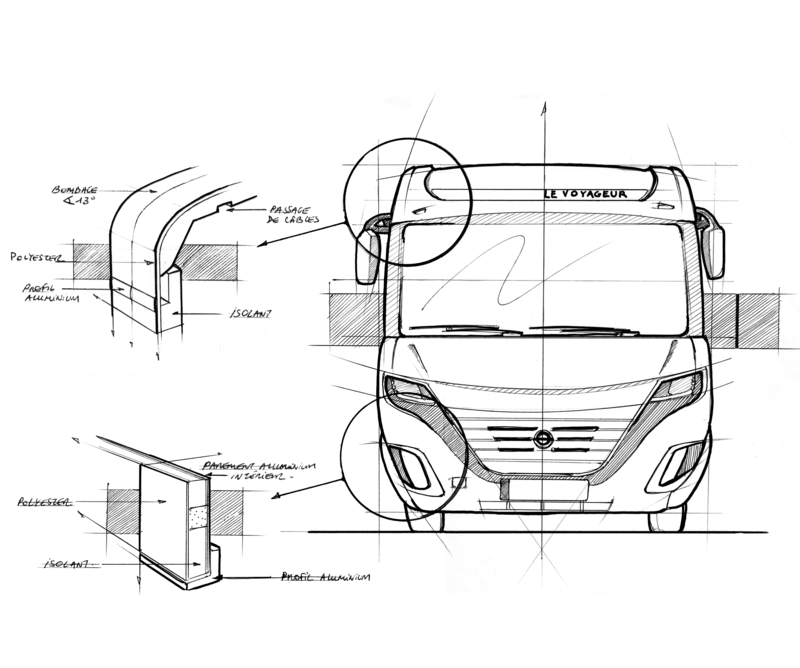 Thanks to over 20 years of experience in motorhome construction, we can draw on complete technical expertise to guarantee the outstanding quality of our products. The LV range comes with a robust, well insulated and perfectly watertight structure. Accessible via both exterior doors and inside trapdoors, the double floor offers extra storage for your bulky items. Well insulated and heated, the double floor retains and radiates warmth just like classic underfloor heating. Due to an very high-end structure assembly and a great design, the front of the Le Voyageur provides an excellent onboard visibility that enables the driver to see a 60 cm height object 2,09 meters ahead. 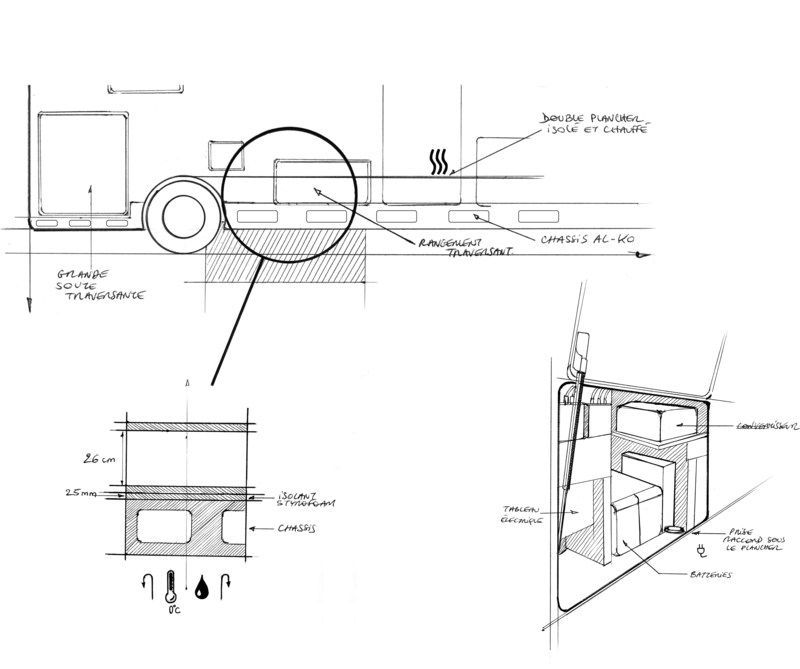 We design the interior layout of our motorhomes as if they were apartments. By using the finest wood, glass and leather materials, we make every effort to offer you a comfortable lounge, an ergonomic kitchen, a large bathroom, and a bedroom where you can get a good night’s sleep. 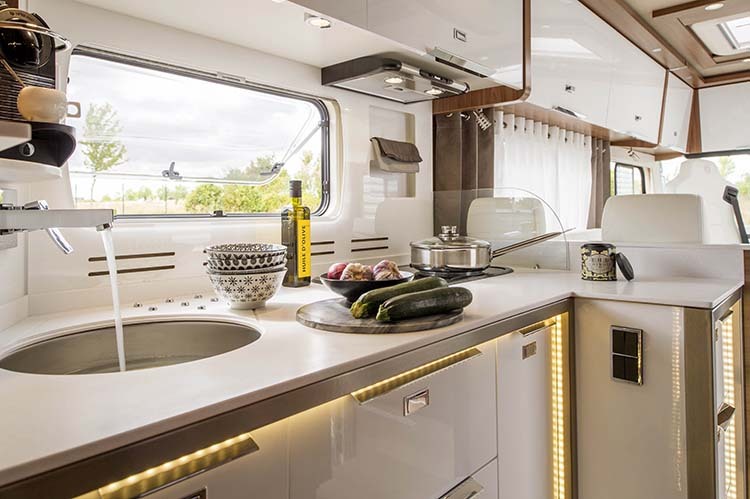 With the LVX range, Le Voyageur proves that the limits of perfection can be pushed even further, with Le Voyageur prestige, power and comfort, sturdiness and design, performance and elegance. If you are lucky enough to own a Le Voyageur LVX, you will soon understand that luxury is not an option, but a necessity. Thanks to its expertise and its continuous quest for excellence, the structure of Le Voyageur motorhomes ensures sturdiness, comfort and well-being in your vehicle. 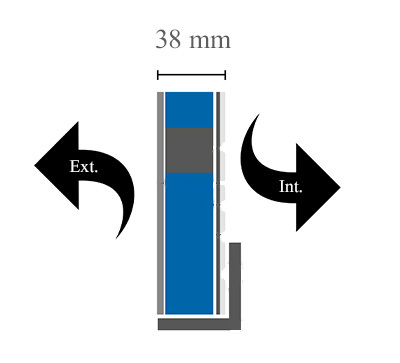 The 38mm-thick walls are composed of a polyester exterior encasing a 35mm-thick insulator for high-quality insulation. The interior aluminium panelling distributes heats to ensure you stay warm in winter, and the fabrics used create a plush atmosphere while providing reinforced acoustic comfort. The hail-proof overlapping roof and polyester underfloor covering also play an essential role in the structure's durability, in conjunction with moisture-resistant wall supports. With our refined designs, good taste and subtle attention to detail, we apply the same high standards to all indoor living areas. Comfortable lounges with face-to-face benches, connected by large passageways, kitchens with lots of storage space – we have even provided a space for your coffee machine behind the upper unit – large showers offering a full 1.90 metres in height, and top-of-the-range bedrooms fitted with the highest-quality bedding… Fall in love with the interior of a Le Voyageur LVX motorhome. The Le Voyageur LVX boasts the most luxurious, comfortable fittings on the market. 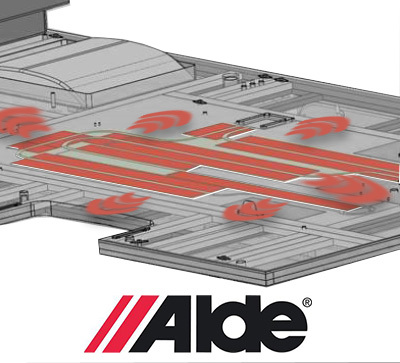 This includes the ALDE® hydronic central heating system, which diffuses a uniform, gentle heat throughout the unit. Offering top-of-the-range thermal comfort, the LVX range comes with underfloor heating as standard, for extra home comfort. A touch of elegance and infallible mastery of construction techniques earn these vehicles their luxury reputation. 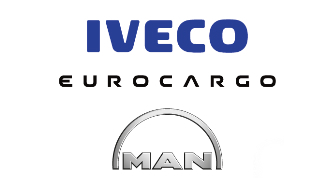 Thanks to IVECO bases for 7.5T vehicles and EUROCARGO or MAN for vehicles over 10T, you can customise yours to fit your every need. There are 3 types of chassis available for Liners: 7.5T vehicles are built upon IVECO Daily bases, and vehicles over 10T have a choice between IVECO Eurocargo or MAN chassis. As standard, we offer Meier Transformer on all our chassis for increased sturdiness and driving comfort. 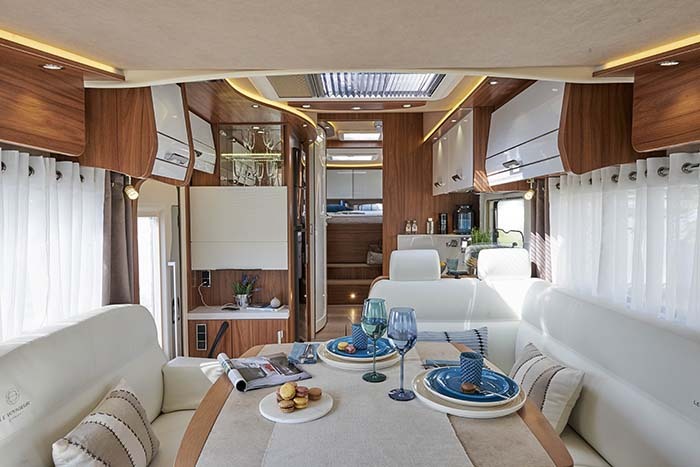 The structure of a Le Voyageur Liner motorhome boasts all the characteristics for a luxury leisure vehicle. Their 50mm-thick walls, floors and roofs place the Le Voyageur Liners above their main competition. 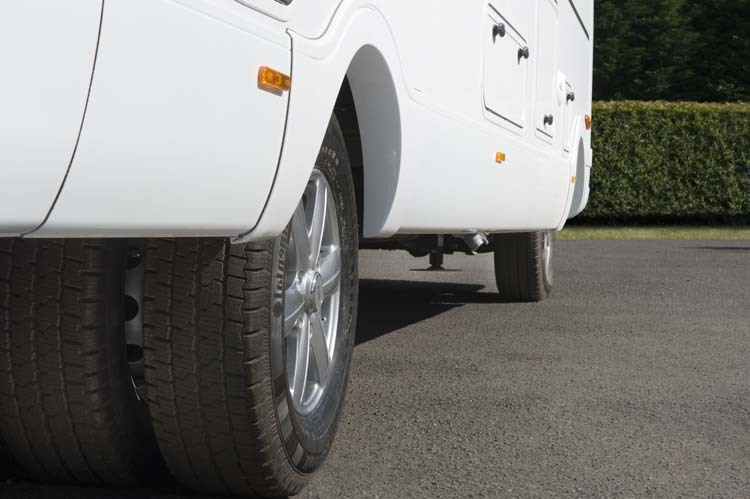 The technique used to assemble the double floor and the space that it offers are the sign of a durable motorhome, suited to even the most demanding requirements. The height of the driver's seat combined with the dimensions of the windscreen and low dashboard ensure optimal visibility for safe driving at all times. 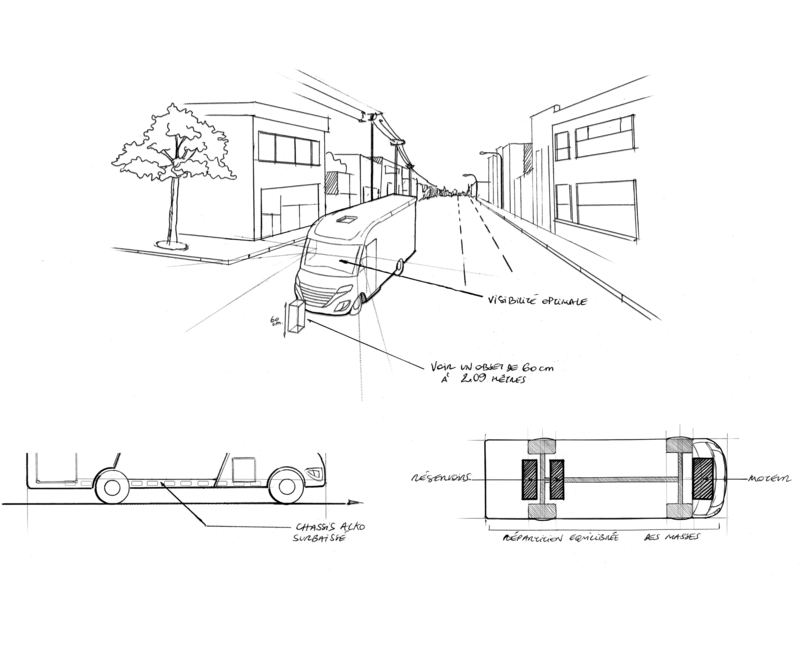 The bus-style wide-angle rear-view mirrors represent a considerable advantage, their panoramic vision offering the driver an extra sense of security. Such an impressive Liner deserves an impressive entrance. An electrically-operated double step that retracts into the skirt offers easy access to the unit. As you step into the Le Voyageur Liner, you'll be astounded by its sense of luxury. Its resin kitchen worktop, high-quality leather, and screw-less assembly make for impeccable furnishings. Luxury is thus reflected in every aspect of the Le Voyageur Liner. Close your eyes, take a deep breath, and step in. Succumb to the warmth and feeling of well-being that surround you. Cast all doubts aside; welcome to the Le Voyageur Liner. You're in for a comfortable ride.